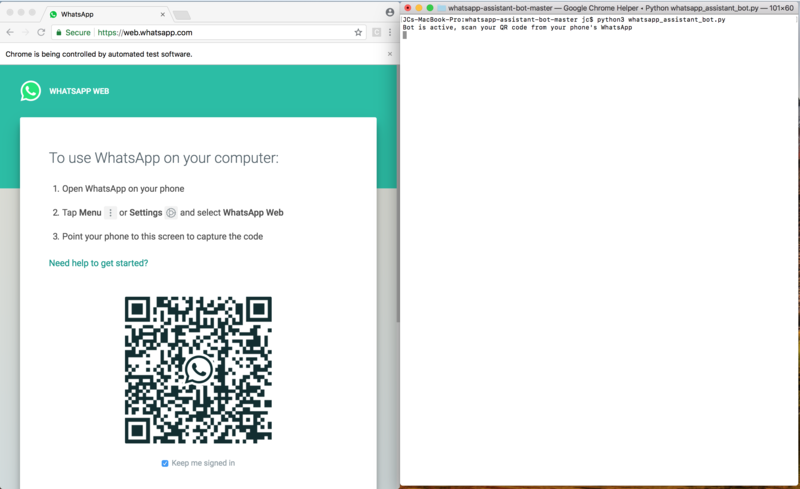 Once the bot is running, it should automatically open chrome and display the whatsapp web QR code. Once you scan it, you should be able to see a list of your conversations, choose the one you want to test with. Example of asking the bot to google something. 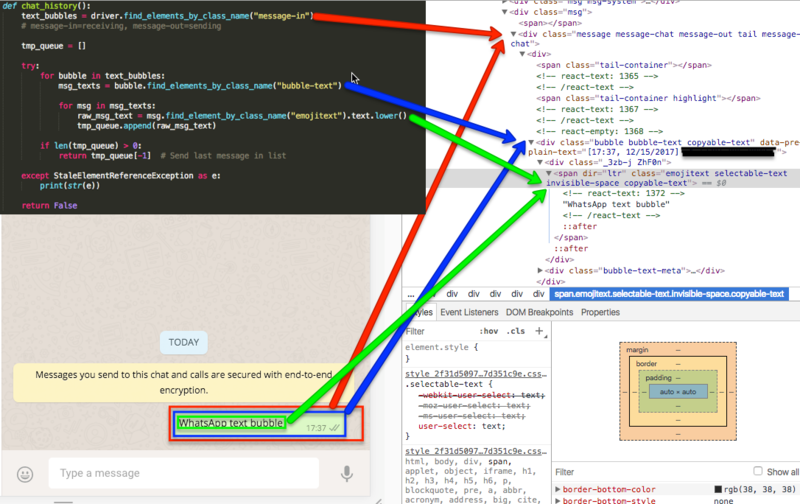 Since the bot is running on your computer, chrome will be automated by selenium and you will see a chrome page open, a screenshot will be taken and attached to the chat. If you get an error at this stage, it's most likely due to Chromedriver not being installed properly. Repeat the first step. 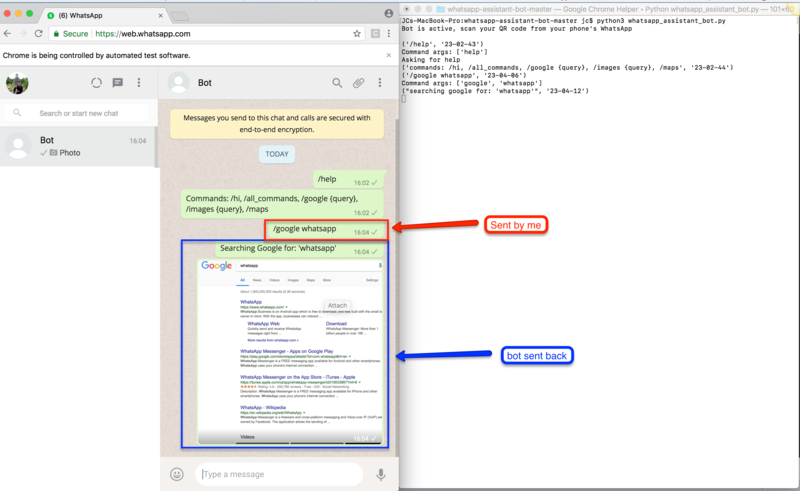 Script is running properly if you see "Bot is active, scan your QR code from your phone's WhatsApp"
You can either create a bot account (as mentioned below) or you can use your own account to test it. 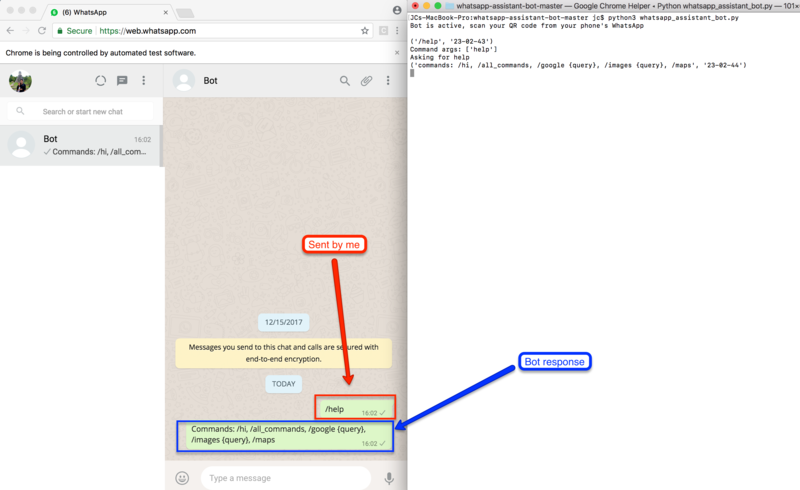 In the function chat_history(), set the first line of the function to "message-out"
I run the script from my home computer in Canada and I have a separate WhatsApp account running 24/7. 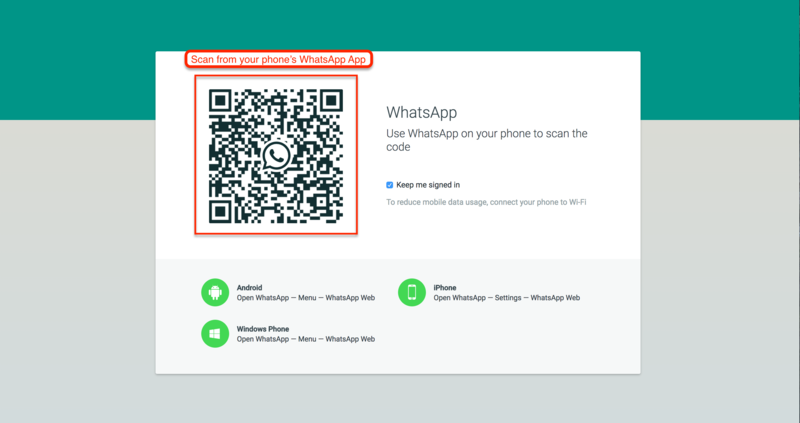 You can create a free WhatsApp account if you have a spare/old smartphone. 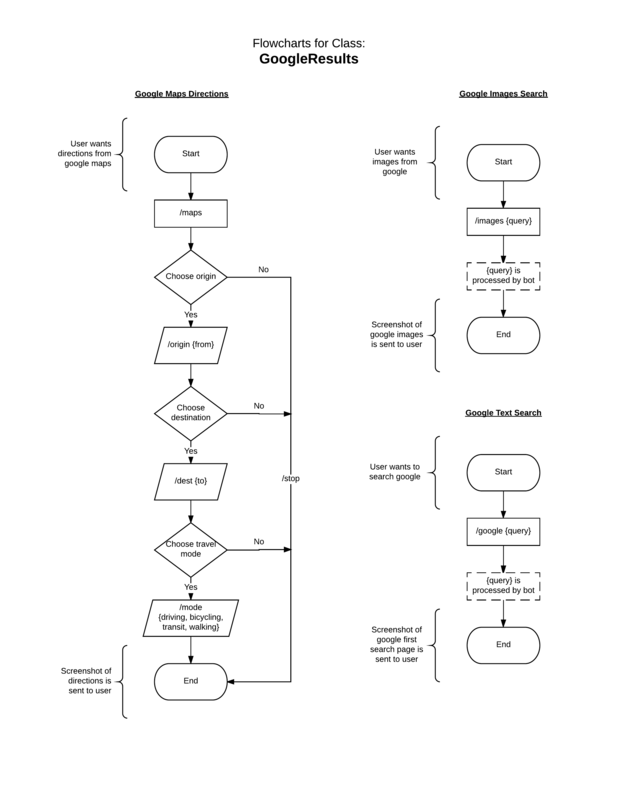 There is plenty more that can be done with this bot, but I only needed basic googling. 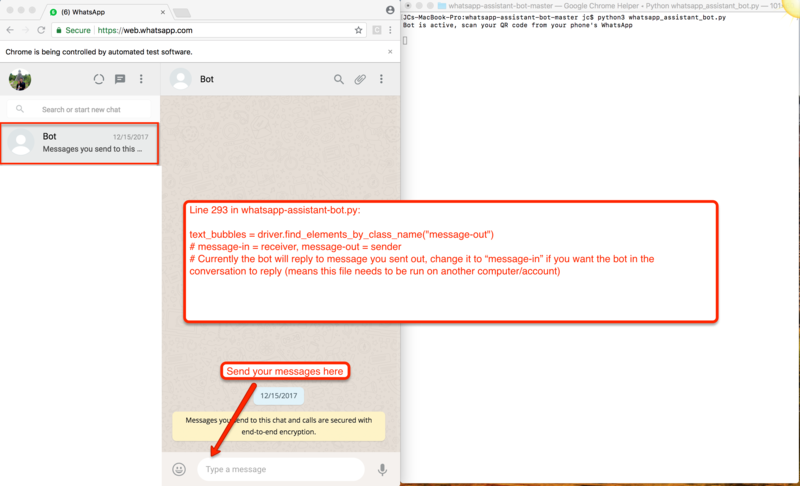 I created this bot for when I travel since I have unlimited WhatsApp everywhere in the world but no data plan. I needed a way to be able to find directions, search for touristy attractions and general googling necessities in a new city without having data. Feel free to grab the code and let me know if you have questions. PS: This bot is not meant for spamming and is only meant for personal use.